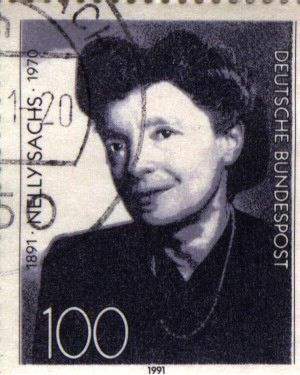 “Nelly (Leonie) Sachs was born in 1891 into a comfortable Jewish home in the fashionable Tiergarten suburb of Berlin. . . . As a young girl of fifteen she began a correspondence with Selma Lagerlof, the Swedish writer, a connection that would prove crucial to her survival when the war years began in Germany. Sachs continued to live in Berlin with her mother after the death of her father in 1930. But as the Nazi grip tightened in the city and Jews became more vulnerable to the new laws of exclusion and persecution, she and her mother determined to escape. Through the intervention of Selma Lagerlof, Sachs and her mother were granted asylum in Sweden in 1940. There they lived in a two-bedroom apartment while Nelly Sachs made a modest living translating Swedish poets into German. After the war, and following the death of her mother in 1950, she remained in Stockholm. Although she had several breakdowns, she continued to write and publish. where you put that last look. that they fell blindly on its blindness? Or was it on a shoeful of earth? A puddle? A glitter of metal? The buckle of your enemy? of the world to come? in it charred and tortured body? 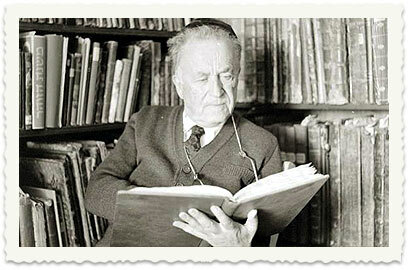 “The greater part of Adar had already passed. The clouds which had been obscuring the sun’s course began to shrink, while the sun grew gradually larger. What only yesterday had been the time for the Evening Prayer became the time for Afternoon Prayer today; while yesterday’s getting-up time became the time to start saying the Morning Prayer today. The snow warmed up and began to melt, and the trees of the field grew black. One day they were black as earth; the next, they would be putting forth leaves and blossoming like the Lebanon. The pools and marshes were covered by a film, and the birds began to chirp. Every day a different kind of bird would come around and there began a cheeping on every roof. Our men of good heart started going out and asking when the road would be fit for travel; they meant the month, of course, when the road would be fit for wayfarers. 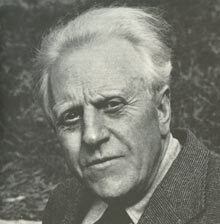 Among Lagerkvist’s central themes is the question of good and evil, examined through Biblical figures like Barabbas, the man freed from crucifixion instead of Jesus. Below are two scenes from the movie based on Lagerkvist’s novel Barabbas, published in 1950. 6 Now it was the custom at the Festival to release a prisoner whom the people requested. 7 A man called Barabbas was in prison with the insurrectionists who had committed murder in the uprising. 8 The crowd came up and asked Pilate to do for them what he usually did. 9 “Do you want me to release to you the king of the Jews?” asked Pilate, 10 knowing it was out of envy that the chief priests had handed Jesus over to him. 11 But the chief priests stirred up the crowd to have Pilate release Barabbas instead. 12 “What shall I do, then, with the one you call the king of the Jews?” Pilate asked them. 13 “Crucify him!” they shouted. 14 “Why? What crime has he committed?” asked Pilate. But they shouted all the louder, “Crucify him!” 15 Wanting to satisfy the crowd, Pilate released Barabbas to them. He had Jesus flogged, and handed him over to be crucified. The most striking characteristic of this poet’s production as a whole is its unity. At eighteen Karlfeldt was contributing verse to newspapers and magazines, at sixty-five he brought out the last six volumes published in his lifetime; and throughout this period the subject matter, even to a considerable degree the style, were the same. He always wrote in rhyme and in fairly regular meters; he always wrote of the landscape, the animals, the plants, the people of his native Dalecarlia. In the interval he had risen from a poor country boy of the wilds to an accomplished scholar, head of the Swedish Literary Academy. Surely few writers, least of all in modern times, can show similar tenacity of purpose. And yet, I think, few lovers of poetry will be inclined to complain of monotony in Karlfeldt. Is it true that he has written no long poems and but few narratives in verse, and that, in contrast with Froding, he has created no individual characters. He does not as a rule tell stories or paint portraits; he interprets a way of life, but this he does with a richness of color and an intimacy of feeling that are well-nigh inexhaustible in charm…. Before to that old melody. That song by your cart and your plough. Leaving great verse until a little . . . Right in the simple worship of a day. In him, as in Theocritus and the Vergil of the eclogues, the classicist and the pastoral warbler of native woodnotes wild were again united. Damascus, in the third year of Caliph Osman’s reign and the forty-first after his birth. May the One grant to him and to all of you a peaceful year! I can respect, perhaps even admire the man who lives according to rule, who is looked upon as a pattern, who even from his earliest youth falls into a given path, and dutifully and composedly follows it until he dies, surrounded by well-nurtured children. When I talk with him, however, it is as though I conversed with a very inexperienced and one-sided person. He has never been in a condition to test life from many sides. He has never by a violent impulse cast aside a piece of work already begun and attempted something new. The fickle man, on the contrary, because of frequently giving himself with renewed zeal to new enterprises, gains an assured experience in all, a rich versatility. I love the fickle man. His changes of mood remind me of the changing facets of a jewel. His conversation delights my ear in the same way as the gay arabesques in the mosque of Ispahan delight my eye. It is as though his mind were constructed of finer and more sensitive material than those of others. If he advances an opinion to-day, he will perhaps Fickle Man to-morrow attack it, because his mind is utterly carried away by his adversary’s observations and arguments. In just this way he generally comes nearer the truth than anyone else, and if he makes a mistake, he quickly corrects it himself. What is in reality an immovable conviction? Is it not onesidedness, obstinacy, spiritual sluggishness, or a pre- sumptuous belief in one’s own judgment? What a great gift it is to be able to put oneself instantly into another’s thoughts and ideas, what a nimbleness of soul! The fanatic, the opposite of the fickle man, lacks this power entirely ; he sticks fast to an opinion and goes to death for it as if it were the greatest truth in the world, although often it proves in time to be the greatest falsehood in the world. His narrow onesidedness reminds us of the sort of men whom we call wooden-headed. Why should one enclose only a single hardened thought, a single kernel, like the insignificant little plum, instead of a hundred seeds like the great splendid melon? The God of the Christians hides three persons in one, but the fickle man at least ten. To associate with him has therefore the same variety as to associate with several persons at once. If a man were constantly clever or constantly high-minded, he would easily be looked up to as more than a common man. It appears therefore as if cleverness and high-mindedness by a sort of destiny more seldom belonged to the constant character than to the fickle — who, however, always brings himself down to the level of a common man, because immediately after a Fickle Man clever speech or noble action he says something stupid or does something blameworthy. The fickle man’s friendliness is the warm and sincere impulse of the moment and has therefore a peculiar charm. An affront from him is less grievous, because one knows that he will straightway turn around and make amends. Yes, I love the fickle man and am glad when I obtain his friendship, although I am compelled every day to win it anew. On the other hand, the friendship which I have enshrined in the constant man looks after itself; it becomes with him a sort of obligation — and I myself hardly ever think of it. Lagerlöf worked as a country schoolteacher for nearly 10 years while working as a writer, focusing on stories from her own childhood. She began her first novel, Gösta Berling’s Saga, when she was still teaching. 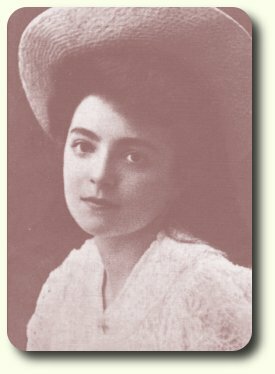 In 1894 she met Sophie Elkan, also a writer, who became her friend and companion and with whom she fell in love. Lagerlöf’s letters to Sophie Elkan, You Teach Me to Be Free (Du lär mig att bli fri), published in 1992, tell a passionate love story that began in 1894 and apparently remained the most important relationship of Lagerlöf’s life until Elkan’s death in 1921. The boy goes on an adventure with a domestic farm goose and is eventually joined by wild geese in a journey across the historic provinces of Sweden. The domestic goose needs to prove his ability to fly like the experienced wild geese, and Nils needs to prove to the geese that he would be a useful companion.